I start out with a word, the next person who posts add a word that is related to the previous word in some way. 1) Language, in RCTI this game is played by using Indonesia language but in the classroom it only uses English. 2) Number of participants, in RCTI the space is a small with six chairs for first session and three chairs for second session, but in the class there are many students follow this game, there is not limit to join this game. This game must be considered by the teacher, and the last. 3) Media, in RCTI this game is presented with sophisticate technology, but on the contrary in class it is presented by using cards, from cartoon, paper or write on the blackboard. 4). Explain how to play the game very well. This game is very challenging and useful for the students. Considering that they are challenge to guess the words with only from the words also. And it a also competitive game so the students will not be bored. There are many kinds of game in teaching vocabulary. 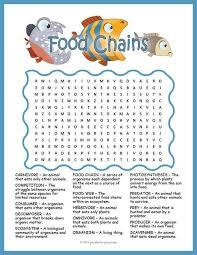 Words chain game is one of the games that can be a good choice for the teacher in teaching English. What they have to do is only make the rule of the game and prepare some clue words to the students. And if the teacher wants to make the result better they can also prepare a gift for the winner of the game at the end as a motivation for the students. Belum ada tanggapan untuk "WORDS CHAINS GAMES IN VOCABULARY"